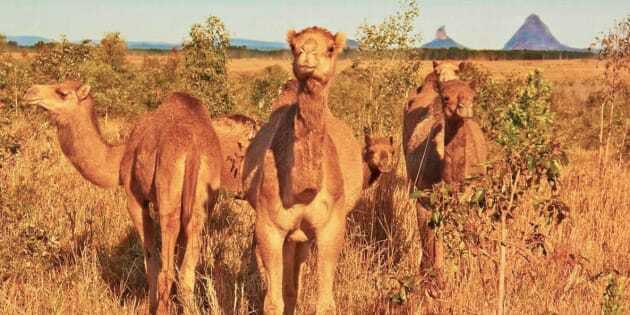 It might look like pyramids in the background, but these Aussie camels are part of QCamel's 60-head herd on the Sunshine Coast. Treating their herd with kindness, patience and respect is how this Sunshine Coast farming family ensure they get the best possible product. And while that might sound a little unconventional, their herd isn't exactly the norm in the Australian dairy industry. 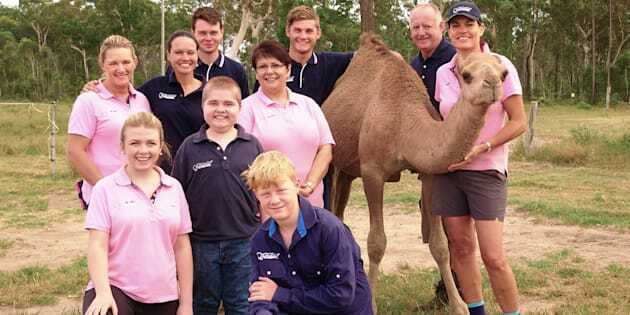 Lauren Brisbane and her family run QCamel, a camel dairy on a 1200-hectare property in the foothills of the Sunshine Coast's Glasshouse Mountains. The small business, which became accredited as a camel milk producer in 2014, owns 60 camels and milk about 20 per day, with each female camel -- called a cow -- producing between four to six litres of milk. QCamel dairy manager Sue Beattie was an office worker before she answered an ad to work with larger animals. 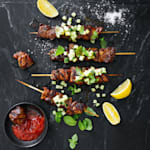 "About 10 years ago we were in agriculture, we had competition horses, and our business partner had wagyu beef," Brisbane said. "I'd done some research on co-grazing the stock with camels. It was all pretty fascinating, and I ended up doing a two-year study on the development of the industry, with some assistance from the DPI in Queensland. "My husband and I realised then that if we were going to be involved in the camel industry, the area to go into was dairy." 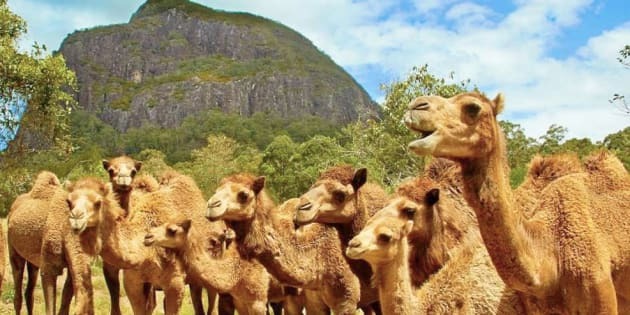 Brisbane's approach to dairy farming is one of love and respect -- all of the camels in QCamels' care have names and are free to roam during the day with their babies in a natural herd environment. The company has put a lot of effort into working with the camels to extract milk, rather than forcing the mothers to separate from their young as is common in the dairy cow industry. 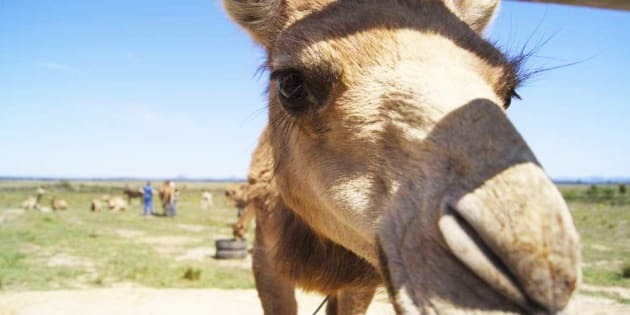 Lauren Brisbane says that camels are highly intelligent animals. "It's very much a partnership -- we treat them well, and in return they're happy, and produce this beautiful rich, creamy milk," she said. "We get an amazing production rate from them; we have one of the highest production rates in the world, and that's because we have happy camels. "We only have to milk them once a day and milk up to 20 camels a day -- that can vary depending on their needs. We don't separate the mother from the baby during milking either. We also don't milk until the baby is two months old, so the mother can establish a bond, which is really important." She said the herd doesn't need to be enticed to come in for milking either. "They come in by free will, we don't have to entice them into the dairy in any way," she said. "We are part of the herd. We're running a business, yes, but we're working with the herd." The camels come into the dairy at milking time of their own free will. 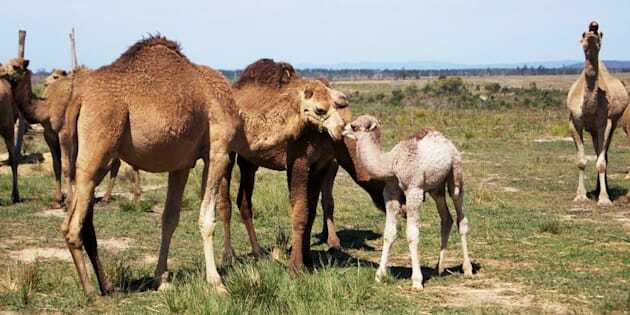 Brisbane, who is also chair of the Australian Camel Industry, said the camels were a lot like elephants in that they have a matriarchal social system. "They're a herd animal and have quite an intricate social system," she said. "They have a lead cow, other camels are like birthing aunties, and they come in and check on the mother and greet new babies and it's all really collaborative and gorgeous. "We love that. And we foster it, and replicate and encourage it in the way we manage them. Yes, they are production animals but it's not a work camp, it's a love shack. "They get a lot of attention and we've taken a lot of time to study and understand them and work with them so that in parting with their milk, they can still be what they are." The herd is free to roam the Sunshine Coast property. The herd has grown from 20 camels to 60 since the company started production 18 months ago, partly due to their breeding program. When the cows are too old to breed, usually between 20 and 30 years of age, they continue to live with the herd. Domesticated camels can live until they are 40 to 50. "We don't slaughter them when they are too old to milk -- we just leave them as part of the herd," Brisbane said. "Because they live in a matriarchal society, the younger ones rely on them, and that transference of information. They still have a role within the herd, a really important one." She said they trained the camels to be handled, and there was a great demand for her male camels -- called bulls -- too. "We have people waiting to purchase the males once they reach two years of age, and they're weaned off the mother," she said. "We do training with them too, so we have a waiting list -- they all have homes virtually when they're born. Some people get them as weed eaters, others go to commercial operators but they are only people who treat the camels the same way we do. We handpick who they go to." The QCamel team work together to make sure their camel herd is happy and healthy. Once collected, the raw camel milk is pasteurised and bottled at the property before being shipped off to a growing number of stockists around the country. The milk is also offered for sale nationally and internationally on their website -- but before you go ordering a few litres for your morning cereal, it doesn't come cheap. Retailing at around $25 per litre, camel milk is known for being nutritious -- a United Nations Food and Agriculture Organisation (FAO) report states it can be three times as rich in vitamin C as cow's milk and is also known to be rich in iron, unsaturated fatty acids and B vitamins. 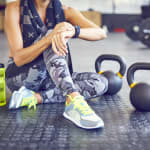 But Simone Austin, accredited practising dietitian and spokesperson for the Dietitians Association of Australia, ​said much more research needed to be done before conclusive data was available on Australian camel milk. "We don't have data on the composition of camel milk in Australia -- if you compare the data from Africa to Saudi Arabia, the milk content can be quite different partly because of their diet and the fluids they consume," she said. "Camel milk is quite similar to cow's milk in that it's really nutritious. 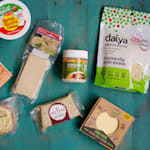 Cow's milk has lot of protein and calcium, and the things that the camel's milk is slightly higher in -- Vitamin C and the B group vitamins -- they're available in other foods in our usual diet. 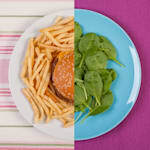 "So yes, it's nutritious, but it's not providing us with anything we can't get from other foods." While there have been some reviews on the medicinal properties of camel's milk, research continues into whether the milk can assist those with autism, diabetes, food allergies and gastrointestinal disorders. Austin said that no evidence had so far definitively proven it was beneficial in the treatment of those conditions. "We'd need an awful lot more (research) before we could make those sorts of claims," she said. 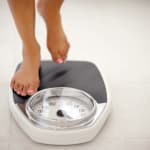 "One of the key things is that people need to stop looking for one superfood or couple of superfoods that they should put in their diet and just try to have a super diet." While Australia's dairy industry struggles with a dramatic drop in farm gate milk prices, Brisbane said her business was unaffected, as they were two completely different markets. QCamel's milk is stocked in retail outlets throughout Queensland, NSW and the ACT as well as being sold on their website. Brisbane said camel milk is lighter in flavour and consistency to cow's milk, although some detect a slight salty aftertaste. "It's lighter in body, but ours tends to be rich and creamy," she said. "There's not a lot of difference in taste to cow's milk, not with our milk anyway. Some people say it has a saltier flavour, but others don't notice that. "Our milk is a little higher in fat, about 3.5 percent but can be as low as 1 to 2 percent. Happy camels give you rich, creamy milk. A lot of children drink our milk, so it's actually important that it's got a slightly higher fat content." 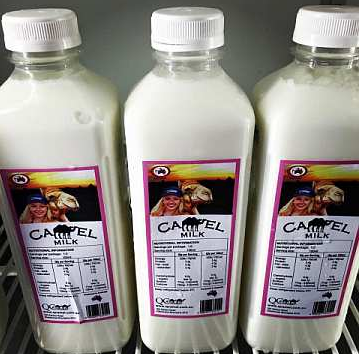 "Camel milk doesn't sell itself," Brisbane said. "There's a very limited market at the moment, and there will be until the awareness increases. People don't know much about it. More than half my time would be spent on marketing our product on a weekly basis. 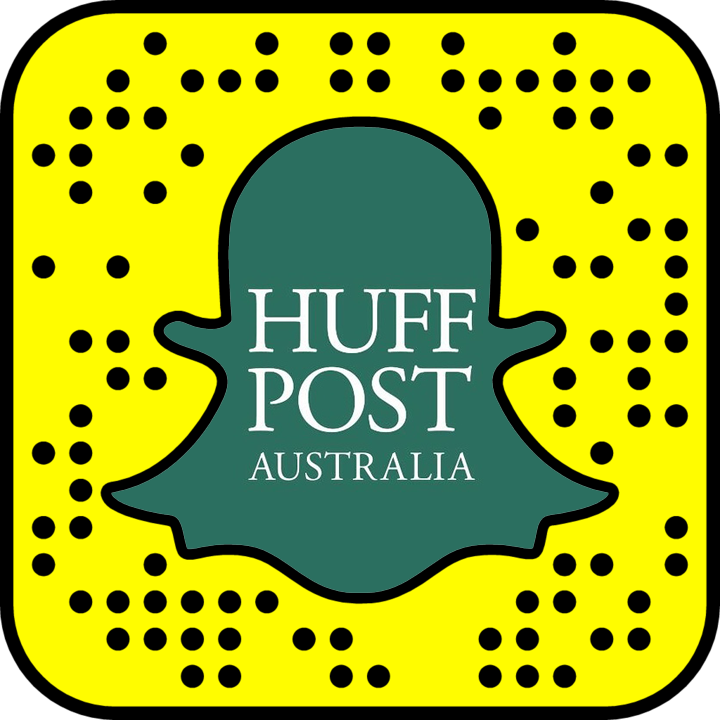 It is a very new industry in Australia so a lot of people don't understand it." The young camels stay with their mother until they are weaned at around 2 years of age. She said she'd been working with a lot of local producers on the Sunshine Coast to develop additional products. "We've been working with Markus Bucher from Maleny Cheese to make a camel cheese but it's really expensive to make and quite a difficult process. "It has a unique molecular makeup so it doesn't have the same protein other milk does, so it doesn't set the same. It's not easy so you've really got to work with professionals on that and we work with leaders in the field. "We have done a curd, and we've also developed a really great mango and honey yoghurt smoothie which we'll be releasing in the next few weeks. 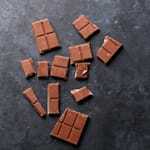 We've done a lot of taste testing and people love it." Lauren Brisbane said every cow is given an udder health check before milking commences. As part of her roles with the Australian Camel Industry Association and the director of QCamel, Brisbane can advise farmers on how to get started in the camel industry -- but she warns it's nothing like running a cattle dairy farm. "I've had lots of people ring us and say 'we've had cattle, we know what we're doing' and I go, 'no, no , the costs and management are very different -- this is not what you think it is'," she said. "It's a whole different management system. For a start, you don't remove the babies from the mothers. And your production costs are extremely high because you can't feed them grain -- that will kill them as they have a very different gut. We have to have feed specially grown and that's one of our highest costs. "We're little at the moment but we will grow by working with the camel and using best and sustainable practice. We're doing it properly by doing it slowly."